Welcome to the Notification page! Scroll to the bottom for a helpful how-to video, or read on. To join us, please complete one Family Form, and a Notification Form for each child. We also require a copy of your child’s Birth Certificate (or Canadian Passport). You may include an Education Program Plan (Part D) now, or send it to us separately. 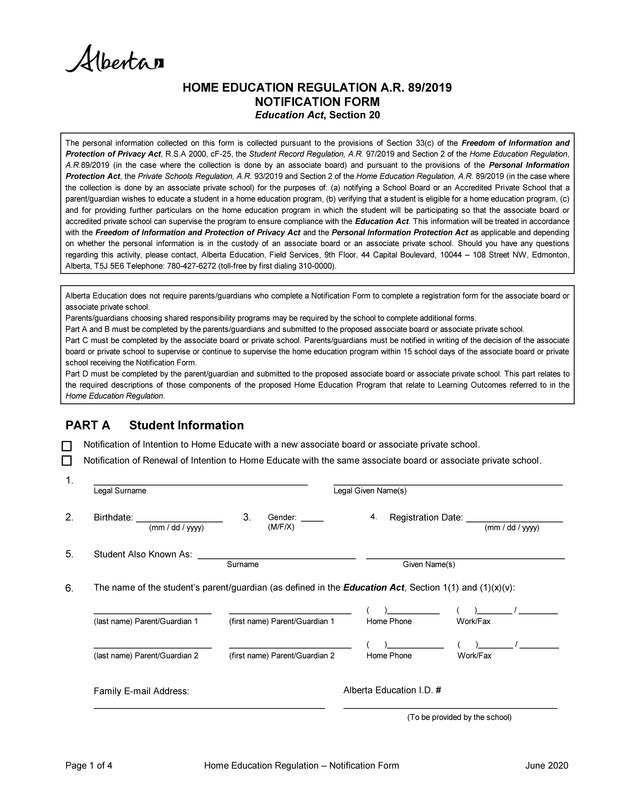 The forms are fairly straightfoward, though one common question on the Notification Form is regarding the Declaration by Parent (Part B), and the two checkboxes below. If you check the first box, you indicate that you will be using Alberta Curriculum at home, fulfilling all of the same outcomes as you would in school. The second option (most used by home educators) means that you will be creating your own plan for your child, using curriculum that suits your goals and your child's learning style. You may view the Schedule of Learner Outcomes here. Please sign the form (both parents if possible), date it, and fax, mail, or scan and email it to us. If you wish to receive Student Photo ID cards (useful for gaining discounts, free entry into some museums, etc), please complete this form. Teacher ID cards can be created for parents, as well. Once we have received your notification, we will contact you to let you know they have arrived. A facilitator will be matched to your family, and will make contact. If you would like immediate contact with a facilitator, please let us know. We look forward to serving you. 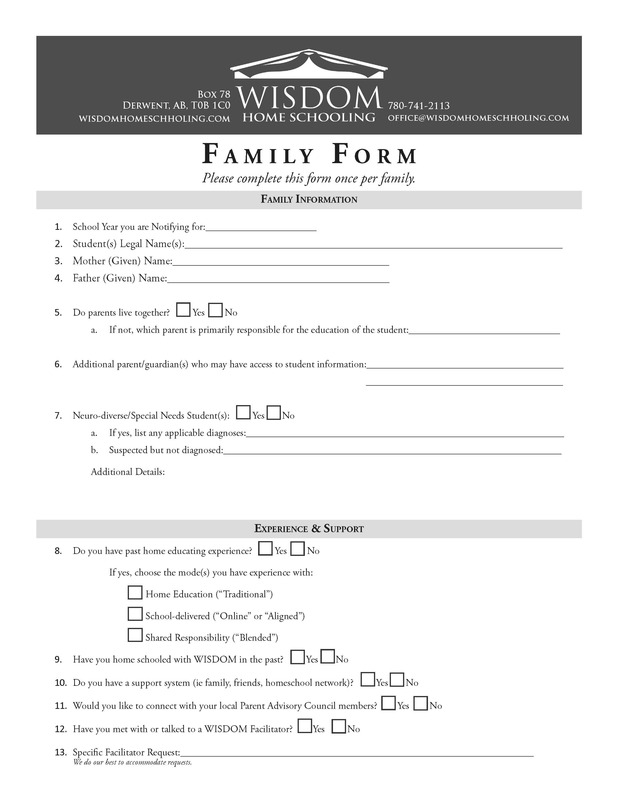 You may attach your completed paperwork below to send to WISDOM as an encrypted file. You may email, fax or mail the family form, notification form and program plan, but we recommend that you send identification documents (passport/birth certificate) using the form below. Files will be encrypted and sent over a secure network.